Town Clerk Laura Gemme has released the official results from the April 2 local election in Reading. As previously reported, Mark Dockser and Anne Landry won the two seats for three-year terms on the Select Board. Chuck Robinson and Thomas Wise won the race for the three-year seats on the School Committee with John Parks winning the two-year seat on the School Committee. Alan Foulds was elected to his twenty-third term as Town Moderator with John Brzezenski and Cherrie Dubois each winning seats on the Library Board of Trustees. Philip Pacino and David Talbot were elected to the Municipal Light Board. Each precinct also had eight three-year seats on Town Meeting up for election. 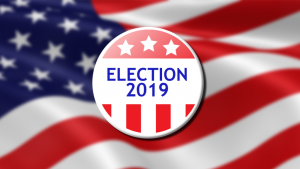 In precinct one, John Corbett, John Devir, Diana Halsey, Brian O’Mara, David Zeek, Shaun Neville, Lynn Cain, and Kevin Leete all were elected to represent their precinct. Precinct two saw Howard Cohen, Denise Iozzo, John Sasso, David Feierabend, Simone Payment, Barry Saunders, John Scott, and Mark Ventura elected to serve on Town Meeting. In precinct three, Jason Clarke, Jane Fiore, Fausto Garcia, Rachelle Garcia, Paul Sylvester, Meredith Yoder, Thomas Wise, and Tony Capobianco all won election to Town Meeting. Precinct four voters elected Barry Berman, Richard Coco, Thomas Grant, James Mauhgan, John O’Neill, Ann Cruickshank, Christopher Feudo, and Erin Gaffin to represent them in Town Meeting. Robert Ferrari, Bo Garrison, Michael Giacalone, Laurence Hayes, Edward Ross, Carlo Bacci, Laura Joelson, and Helena Johnson were all elected to Town Meeting by Precinct five voters. Precinct six had a tie for the seventh and eighth open seats. The Town Meeting members of the precinct will vote for two of the three who tied with two votes each: Steven Cool, Daniel Santamaria, and Geoffrey Beckwith. Elected to Town Meeting from Precinct six were Michele Sanphy, Joseph Carnahan, John Weaver, James McIntosh, John Miles, and Payaal Patel. Precinct seven elected Brandon Chapman, Geoffrey Coram, Marcel Dubois, John Lippitt, Jeffrey Struble, Jesse Arnold, Hillary Mateev, and John Sullivan to represent it in Town Meeting. In Precinct eight Ian Brown, Peter Brown, Stephen Herrick, Martha Moore, Shawn Brandt, Sasha Corken, Peter Kramer, and Theresa Wiggins were elected to serve on Town Meeting. Three thousand six hundred and fifty of the 19,928 registered voters in town cast ballots on Tuesday for an official turnout of 18.3%.